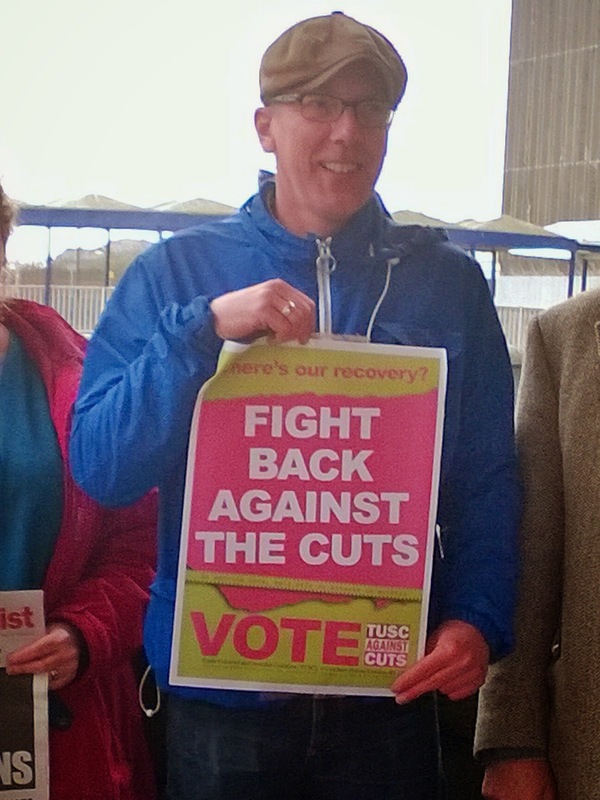 Swansea Trade Unionist and Socialist Coalition (TUSC): In Aberavon, you can back a local, working class trade unionist, who’s a socialist or.. In Aberavon, you can back a local, working class trade unionist, who’s a socialist or..
You can back Labour’s candidate, a business advisor with no connection to Aberavon. 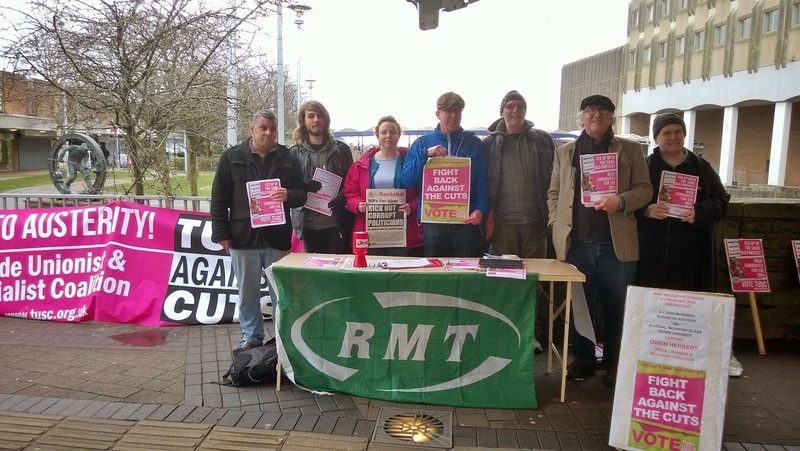 These were some of the comments Trade Unionist and Socialist Coalition (TUSC) supporters received campaigning in Port Talbot today. 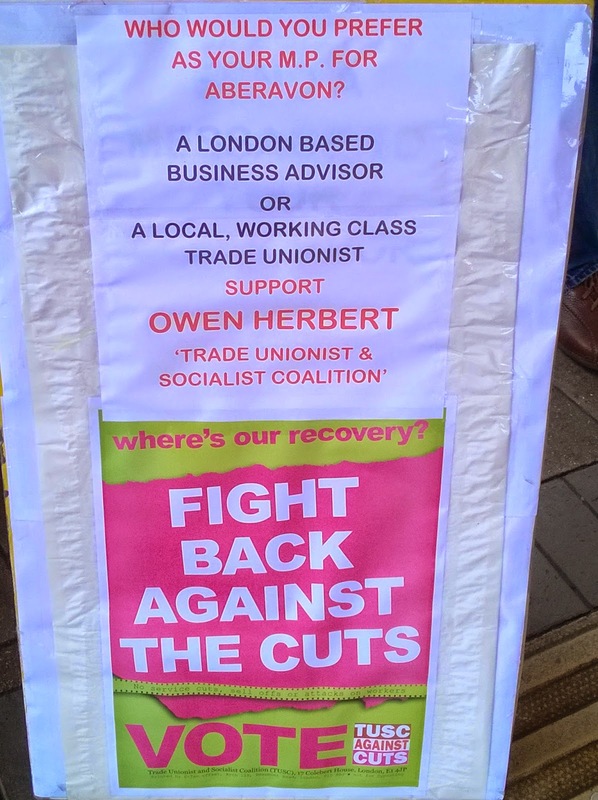 Even a number of long-standing Labour Party supporters said that they would support TUSC candidate, Owen Herbert because they were so annoyed that Stephen Kinnock had, they felt, secured the candidacy purely on the basis of his family name.